Militants tend to attack innocent citizens, usually in places where people come together in relatively high concentrations. 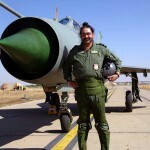 In the experience of Indians, militants have targeted aircrafts and trains, bombed government facilities, and attacked public places like general markets and high-profile hotels. Faced with militant threats, many Indians have demonstrated gallant responses, both in India and abroad. This article addresses gallant behavior that has been observed when decision makers are suddenly confronted with militant threat. A militant threat prevails when an external agency with a cause that is potentially harmful or otherwise contrary to the interest of the decision maker’s greater society, presents itself in a vigorously active, aggressive, or combative manner, usually with an element of surprise or without advance notice. Faced with such situations, gallant decision makers have exercised brave choices that may be described as chivalrous, valiant, heroic, bold, and fearless. As stated by Nelson Mandela, fearlessness is not about absence of fear, or not being afraid, but rather it is about conquest of it or about triumph over it. In 2016, India was the third largest target of terrorism, after Iraq and Afghanistan but before Pakistan. “Out of a total of 11,072 terror attacks in 2016 worldwide, India bore the brunt of 927, 16% more than 2015 (798).” Of these, 317 terror incidents were by the Maoists, also known as Naxalites, albeit down from 866 in 2015. The remaining two-third of all militant incidents in India related mostly to infiltrations across the Line of Control between India and Pakistan, in Jammu and Kashmir. It is notable that since 1987, or the past thirty years, of 43 Ashoka Chakras awarded by the Government of India, 27 (63%) went to those valiant individuals who stopped terrorists infiltrating into India in the Jammu & Kashmir region, and additional 10 (23%) to those who confronted terrorists in Mumbai, Delhi, and Kabul, who were clearly handled or assisted out of Pakistan. 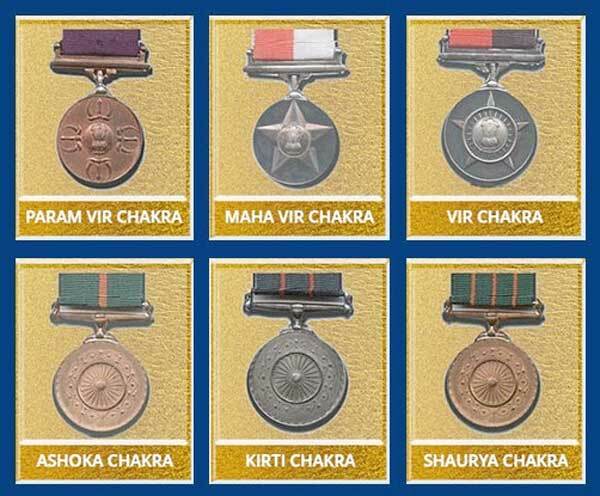 Six Ashoka Chakras (14%) were awarded to brave individuals who confronted the Maoists or Naxalites in the northeastern states. Some of these, too, had foreign links. Counter insurgency efforts cost India dearly in terms of its precious treasury of life and blood. Of the 43 Ashoka Chakras awarded since 1987, 42 were awarded posthumously! Recipients have included individuals like Pan Am air-hostess Neerja Bhanot, Constable Kamlesh Kumari Yadav, Naib Subedar Chuni Lal, Havaldar Hangpan Dada, and others. On 5th September, 1986, Neerja Bhanot, merely 23-year old, stood up to members of the Libyan-backed Abu Nidal Organization during the hijacking of Pan Am flight number 73 in Karachi, Pakistan, and saved American and other lives. Passing up on a subsequent opportunity to escape, she stayed on to protect additional lives. On 13th December, 2001, a petite policewoman, Constable Kamlesh Kumari Yadav was armed only with a wireless communication device, when militants attempted entry into the premises of the Indian Parliament House. Her timely alarm and shutting of the entrance gate saved many members of parliament and other national leaders. By 1987, Naib Subedar Chuni Lal had already received the Vir Chakra and the Sena Medal for prior acts of gallantry. On 24th June, 2007, he deliberately confronted militants on the Line of Control and eliminated them in direct combat. Havaldar Hangpan Dada had asked to be assigned to the Jammu and Kashmir area, where, on 26th May, 2016, he engaged infiltrating militants, eliminating them. His intervention included a hand-to-hand combat,. These gallant Indians, like most other Ashoka Chakra recipients, were killed in the performance of their respective acts of gallantry that saved lives of others. In each case, the moment of crisis demands urgent action and this demand comes with little warning. The situation is not of the individual’s making. Often the individual has choices. At least one of the alternatives among the courses of action is in the individual’s own interests, satisfying the individual’s individual obligations, often with relatively low associated costs or risks borne by the individual for the individual’s own benefit. Other courses of action are in interest of others, raising the issue of the individual’s social responsibility, often with relatively high associated costs or risks borne by the individual primarily for the benefit of others. There is no time to research the ethics of the alternatives. Yet, gallant individuals recognize early on that lack of action on their part has consequences for others. They overcome their fears and control it. One can think of the options available to the individual as a conflict between their self-interest and social responsibility. In each case, they are faced with conflict between (i) their individual obligations to stay alive for themselves and their respective their families, and (ii) interest of others, such as to save the lives of others, even strangers. The gallant respond to their respective social responsibility. For each of them, the cost associated with self-preservation would be low, but the cost of saving others is high, borne by them alone – in terms of high likelihood of losing their life. In each case, they accept the risk to their own life. The gallant are virtuous individuals. To be virtuous, the individual must first recognize the dilemma; that is, he or she must recognize (i) that there are conflicting obligations or responsibilities to be met, and (ii) that there is no solution that would satisfy all demands of the situation. The individual must make an informed choice, with awareness of the consequences posed by the alternative actions available to him or her for all parties affected. With little time for research or analysis, enlightened wisdom facilitates the decision-making process. Therefore, knowledge, not just information, is a prerequisite for their gallant, virtuous decision-making. Various models for the resolution of dilemmas, taught to decision makers, are predominantly rule-based or rule-directed. In practice of facing militants, however, decision makers do not usually enjoy the benefit of being forewarned. They identify problems, formulate solutions, and implement plans, while performing under varying degrees of stress, engaging in parallel sets of concomitant activities, and interacting with a number of people over a range of decisions, all within a time constraint. When managing militant threat, there is little time to apply rules and compute pay offs for various alternatives. The safety, honor and welfare of your country come first, always and every time. The goal of the acculturation is to make gallantry an innate nature, a svabhava. When Field Marshal SHFJ Manekshaw, PV, PB, MC, stated, “If a man says he is not afraid of dying, he is either lying or a Gurkha”, he was referring to this concept of svabhava of the Gurkha! This article has described a set of common features found across actions of gallant individuals who confront militant threats. In India, we have seen gallant decision makers exercise brave choices, often paying dearly for their valor with their life. Such decision making behavior of gallantry has not been adequately studied. It seems that the gallant decision makers are able to push themselves beyond coping, knowing well that their actions carry a high cost for them, but the benefits are to their larger society. Opportunities to manifest gallant decision-making behavior arise when a decision maker must unexpectedly choose from alternative courses of action, of which 1) one benefits the decision maker’s self-interest, satisfying his or her individual obligations with relatively low associated cost or risks borne by the decision maker; and 2) the others are in the interest of others, raising the issue of the decision maker’s social responsibility, often with relatively high associated costs or risks borne by the decision maker. The decision maker must recognize the opportunity and then make a choice. Gallant decision makers tend to choose options that greatly benefit others but cost dearly to themselves. Ethical behavior need not necessarily be virtuous or courageous. Ethical behavior is simply the right thing to do. It may require no courage. In certain situations, it may well be consistent with one’s self-interest. Unethical behavior may indeed also demand courage. It may take courage to bear the risks of being found in an unethical act. However, gallant behavior is both, ethical and courageous. “Mandela in his own words”, CNN, 26 June 2008, available at http://www.cnn.com/2008/WORLD/africa/06/24/mandela.quotes/, accessed on 23rd February, 2018. Neeraj Chauhan (2017). “India 3rd largest terror target after Iraq and Afghanistan: US report”, The Times of India, 23 July 2017, available at https://timesofindia.indiatimes.com/india/india-3rd-largest-terror-target-after-iraq-and-afghanistan-us-report/articleshow/59719216.cms, accessed on 20th February, 2018. The individuals named here are chosen only for illustrative purposes. Their mention does not suggest relative superiority of their respective behavior of gallantry. Krishna S. Dhir (2013). “The Emergence of Business Ethics.” In Vijay R. Kannan (Eds. ), Strategic Management in the 21st Century, Volume 2, Chapter 12, pp. 255-279. New York: Praeger Publishing. Krishna S. Dhir (2017), ‘Was Tahrir Square Revolution a Failed Effort in Applying Nonviolence?’, Indian Defence Review, 29th July, 2017; available at http://www.indiandefencereview.com/news/was-tahrir-square-revolution-a-failed-effort-in-applying-nonviolence/0/, accessed on 20th February, 2018. PV, PB, and MC, refer to the Padma Vibhushan, Padma Bhushan, and the British Military Cross, respectively. “10 things you need to know about the Gurkhas”, Forces Network, 31 March 2015, available at https://www.forces.net/news/army/10-things-you-need-know-about-gurkhas, accessed on 23rd February, 2018.